When you break anything, take action immediately. Broken glass is dangerous, especially around children and pets. Not everyone knows exactly how to fix this problem correctly. Before you get a window replacement in Culpeper, here are a few steps to take immediately after you break a window. Stop what you’re doing because broken glass cannot wait. Even if you’re getting a same-day window replacement in Culpeper, do not put anyone in danger. Clean up the glass pieces on the spot where it broke and the surrounding areas. Do not just pick up the big glass shards with your hand and leave. Some glass pieces will fly out a few feet and lay hidden under a mat or between the floor tiles. Remove glass pieces that are hanging loose from the frames. Bend over and look for tiny, nearly invisible glass pieces. 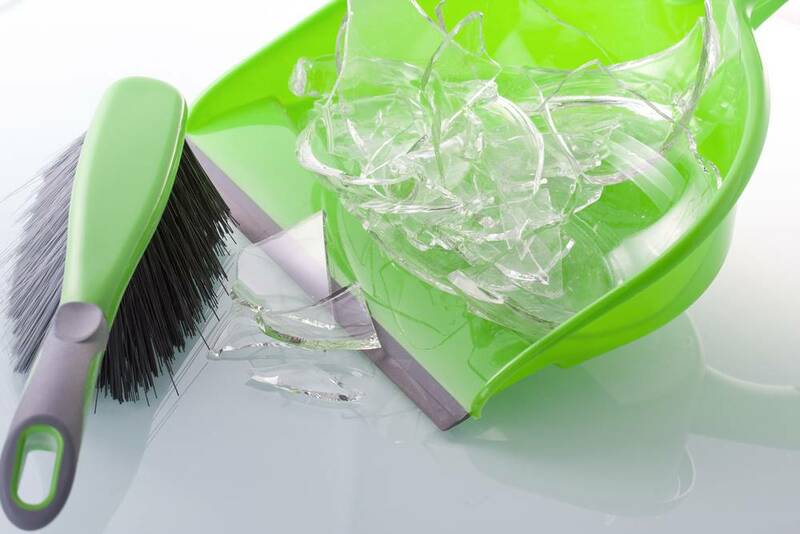 Sweep the area with a broom, and if many pieces are broken, mop the floor to ensure that all of the glass is gone. Also, clean the glass that is broken outside of the window. Remove the glass that is hidden in grass because an animal could easily become injured. You don’t want anyone, either inside a room or outside in the grass, to get tiny pieces of glass lodged in his or her feet. Next, cover the opening where the full glass window was. You cannot leave this hole open because bugs could crawl in or cold wind could enter the room. No matter how small or big it is, find a trash bag or tarp to cover this opening. Tape the edges down tightly to prevent them from coming loose. You might want to monitor your covering a few times a day to see if it remains still. 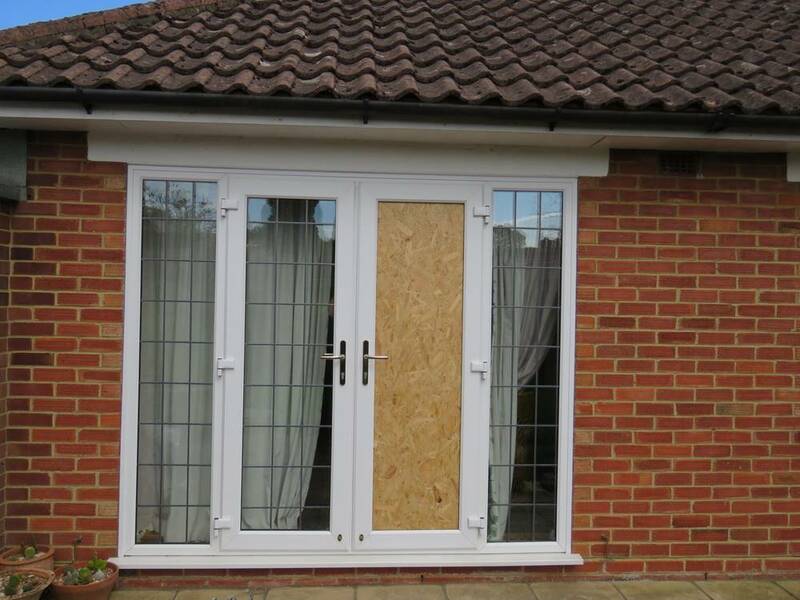 Take note of special situations when building a makeshift window is not the best option. If you live in an unsafe or crowded area, get a window replacement in Culpeper as soon as possible. In the meantime, create a covering because it’s better than leaving a gaping hole. On cold or windy days, you may need stronger materials. Most home improvement stores have strong sheets that will block out heavy rain, wind and snow. Instead of using fabric, consider something more solid like wooden or aluminum panels that you can install temporarily. Do this only if the weather is very bad, such as rain that’s seeping in and rotting the floor, and you don’t plan to get new windows soon. If you live in an apartment building, tell your landlord about the accident and ask for assistance. For your own safety, ask for a temporary room until the problem is fixed or move temporarily into another building. There are some problems that can be fixed on your own. 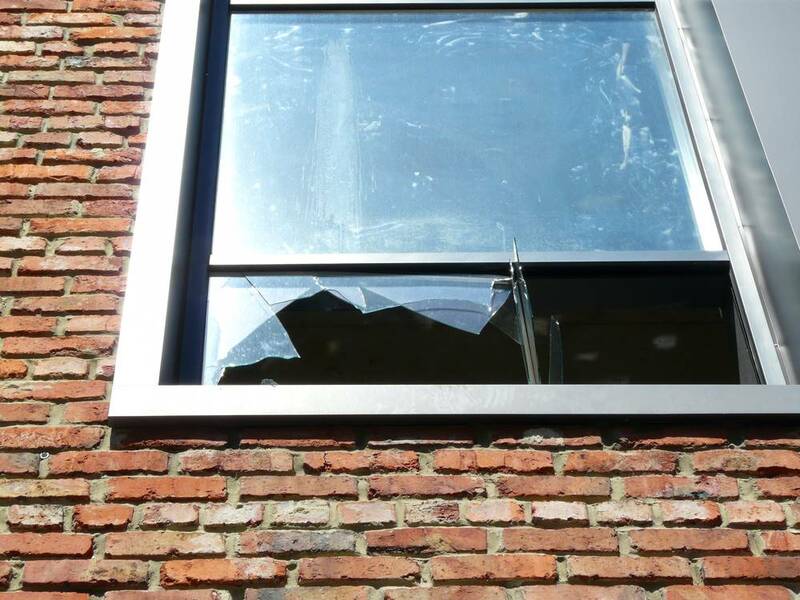 Broken glass you can remove, but for a broken window that jeopardizes safety and privacy, find a company that specializes in window replacement in Culpeper. Culpeper Window & Siding is available at 540-547-9100 to install new windows. Call us to receive a custom quote. When Do Your Old Windows Need Replacing?